The bill will formalize into law the regulatory change that was implemented by the Department of Health earlier this year. Massapequa, NY - Sept. 25, 2018 - Governor Andrew M. Cuomo today signed legislation (S8987A/A 11011-B) that adds acute pain management to the list of conditions for which medical marijuana can be recommended as an alternative to opioid use. The bill will also allow for substance use disorder treatment providers to recommend medical marijuana to help patients manage underlying pain that contributes to the abuse of substances such as opioids. "In this battle against the opioid epidemic, it is critical that we use every means at our disposal to prevent the unnecessary prescription of these dangerous and addictive painkillers," Governor Cuomo said. "Adding these conditions to the list of those approved for management with medical marijuana will help reduce the risk of addiction and provide suffering New Yorkers the relief they need." 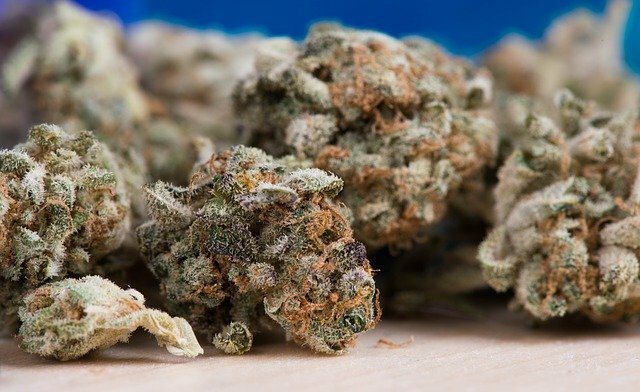 "We know that medical marijuana can be a helpful alternative for a wide range of illnesses and conditions," said Lieutenant Governor Kathy Hochul. "By expanding the approved list, we are providing New Yorkers with new options, and preventing the danger that comes from opioid addiction." The bill will formalize into law the regulatory change that was implemented by the Department of Health earlier this year that added opioid replacement and opioid use disorder to the existing list of conditions for which a patient can qualify for medical marijuana. In order to recommend medical marijuana for pain management, a registered practitioner must determine that the patient's pain degrades health and functional capability, along with certain other requirements. Senator George Amedore, Chairman of the Senate Standing Committee on Alcoholism and Substance Abuse said, "As the Senate Task Force on Heroin and Opioid Addiction travelled the state, this was a big gap that we heard about over and over. When we look at solutions to help us combat the heroin and opioid epidemic, we must ensure prescribers and patients have every resource and option at their disposal. I'm glad the Governor has signed this legislation that will help patients and provide an alternative to highly addictive opioids." Assembly Health Committee Chair and bill sponsor Richard N. Gottfried said, "Opioid addiction does not discriminate, impacting New Yorkers of all ages, genders, and races. Evidence from across the country shows that access to medical marijuana for pain treatment reduces the use of far more dangerous opioids. Medical marijuana is a safe and effective alternative for treating pain. I commend the Governor for signing the bill and will continue working to expand access to medical marijuana for patients in need." Assembly Member Linda B. Rosenthal, Chair of the Assembly Committee on Alcoholism and Drug Abuse said, "People seeking treatment for substance use disorder and those afflicted with chronic pain must have access to the best array of medical options. By adding substance use disorder and pain management to the list of conditions eligible for treatment with medical marijuana, we will be allowing New Yorkers to take advantage of a harm reduction technique that can be used as an alternative to highly addictive opioids. I thank Governor Cuomo for signing this provision into law and providing us with yet another tool to combat the public health crisis of opioid addiction and overdose." Subject: LongIsland.com - Your Name sent you Article details of "Governor Cuomo Signs Bill Adding Pain Management to List of Eligible Conditions for Treatment with Medical Marijuana"